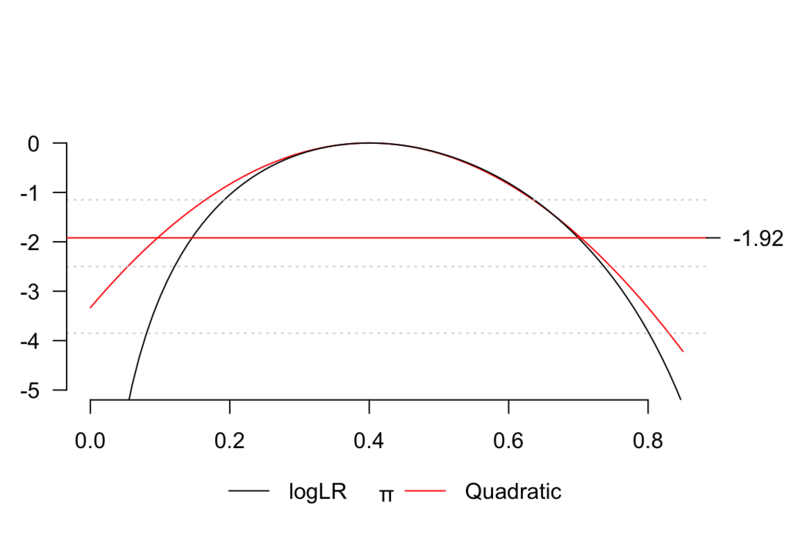 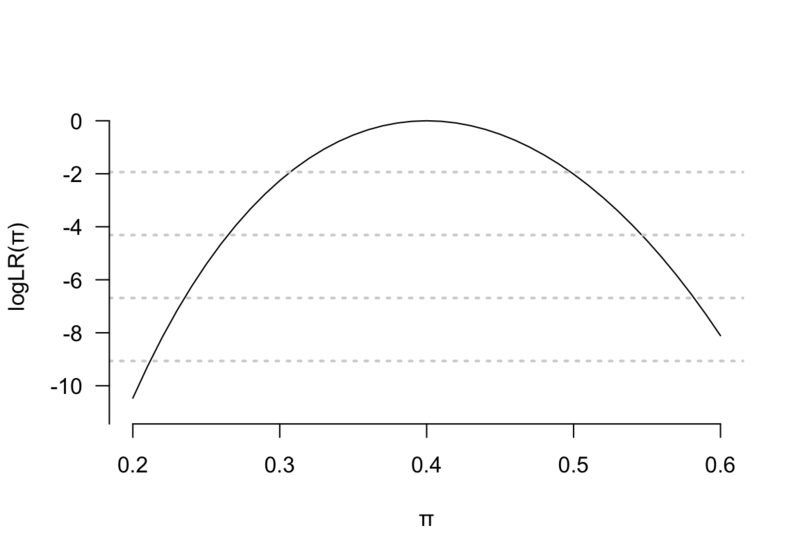 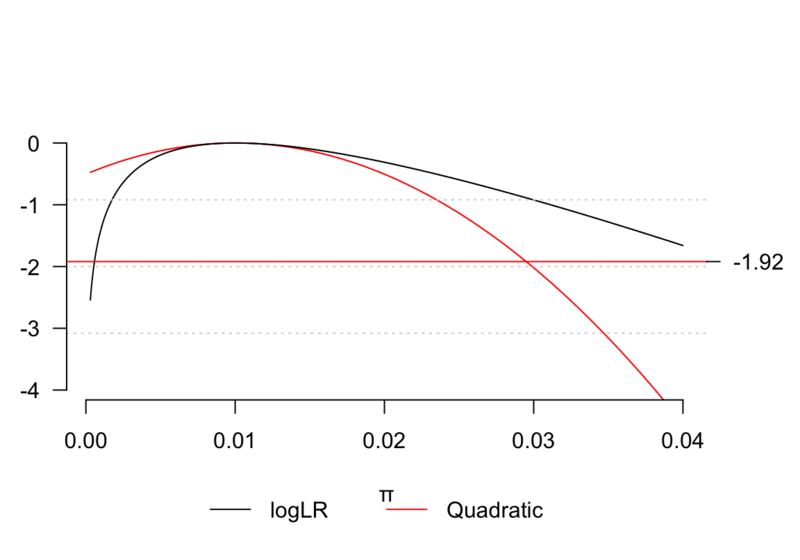 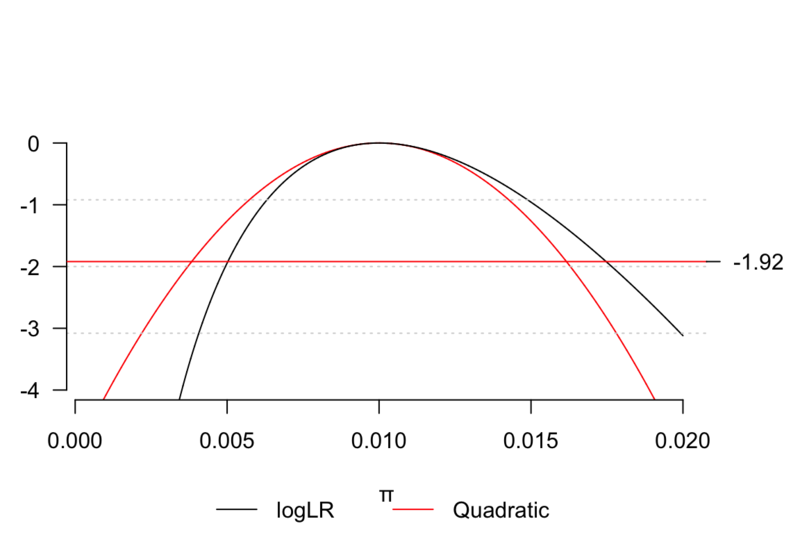 Transform parameter so that \(llr\) is closer to a quadratic shape. 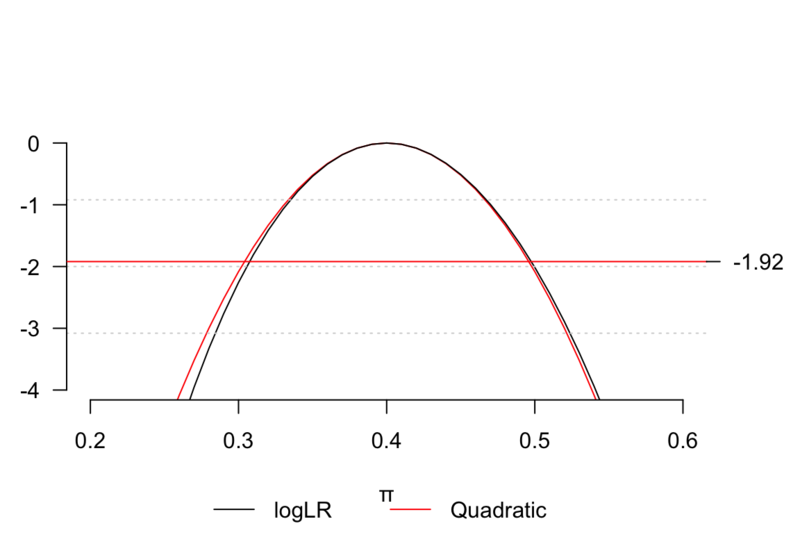 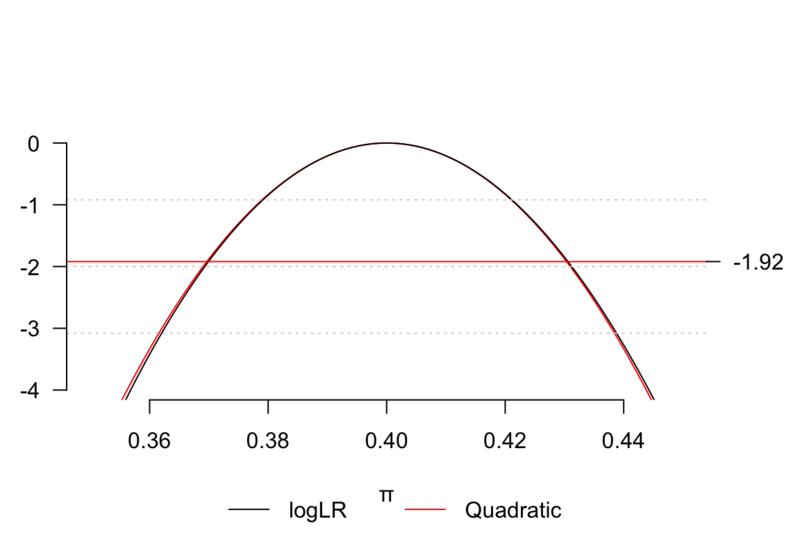 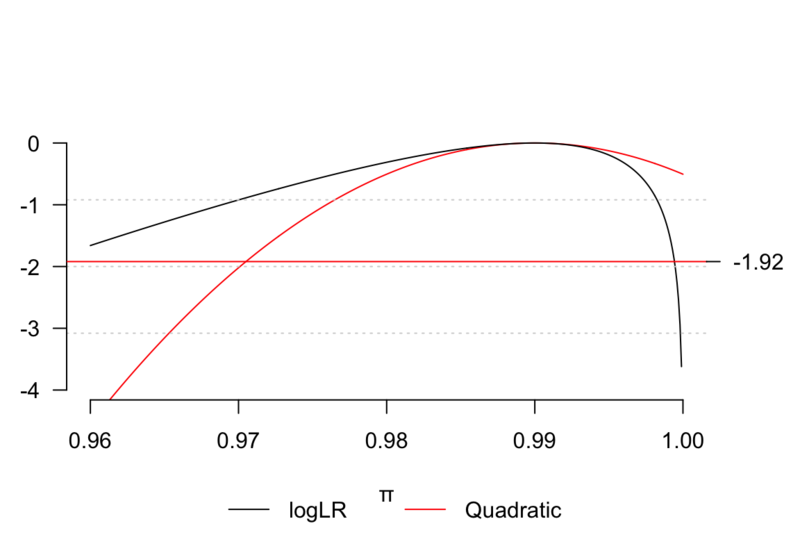 Use our quadratic approximation on the transformed parameter to calculate our likelihood ratio confidence intervals. 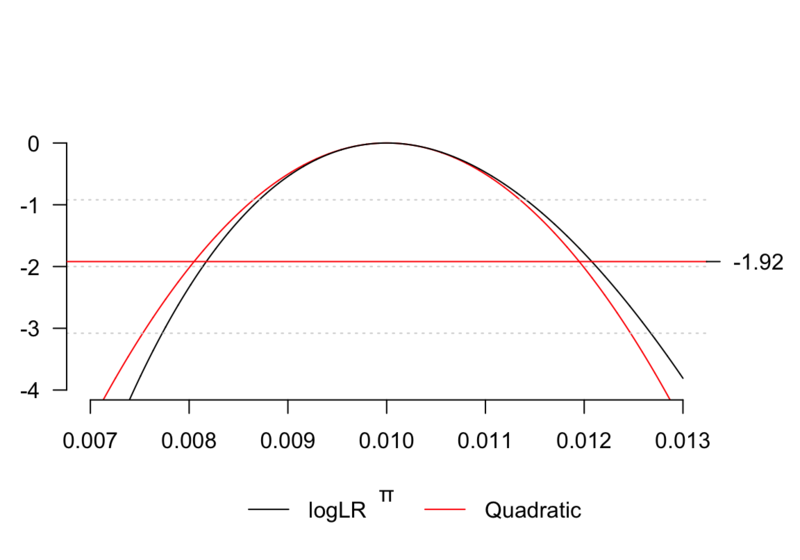 Transform the confidence intervals back, or to any scale we wish – they remain valid.